Cold Facts has developed a durable and lightweight drifting buoy that can be easily deployed during ski-expeditions, icebreaker cruises, flight operations, and other means of polar travel. The buoy was designed to be "plug-and-play" to allow for quick set-up by anyone, regardless of technical expertise. This way existing logistical activities can be used to create more coverage. In essence the Cold Facts drifting buoy is a lightweight weather station that is deployed and fastened on the floating sea ice. Its movements and meteorological data are tracked and monitored via an Iridium data connection. The buoy measures air temperature, humidity, barometric pressure, and GPS position. We have chosen first class components for reliability and accuracy. The high-end temperature and humidity sensor is also being used in NASA’s Mars Rover Curiosity. Collected data can be distributed via email or a direct feed to a data server. Time required for deployment: 15 to 25 minutes. 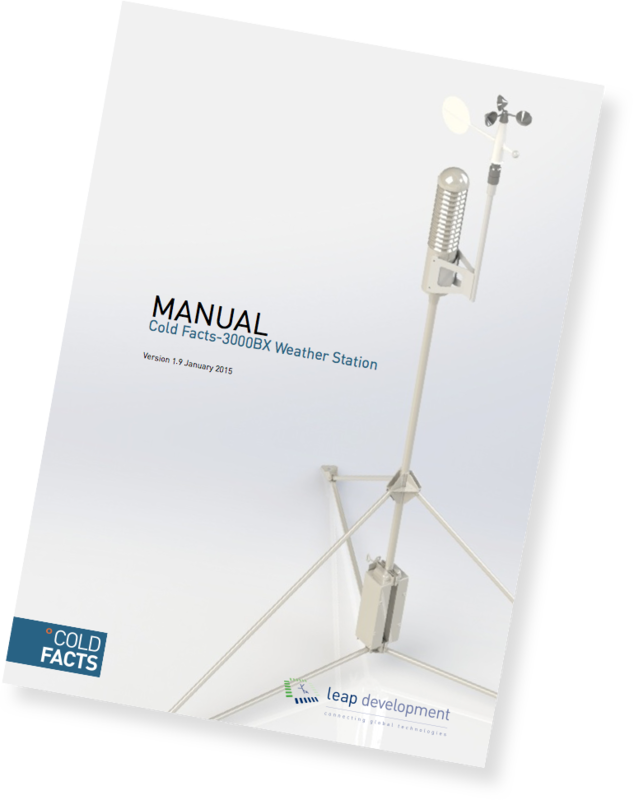 Cold Facts has also developed a variation to this buoy that also measures wind speed and wind direction. It has been successfully field tested by polar traveller Parker Liautaud around Union Glacier, Antarctica. It can be used on land, ice caps and sea ice. Below: map showing the trajectory of buoy ‘WS_004’ after 10 months of drift. Derived from the more advanced drifting buoy, Cold Facts has also created a sensor-less GPS tracker to monitor sea ice or glacier movement. GPS positions can be retrieved at desired intervals. These can be changed via bi-directional satellite communication. The Polar Ice Drifter allows for high resolution ice speed monitoring. 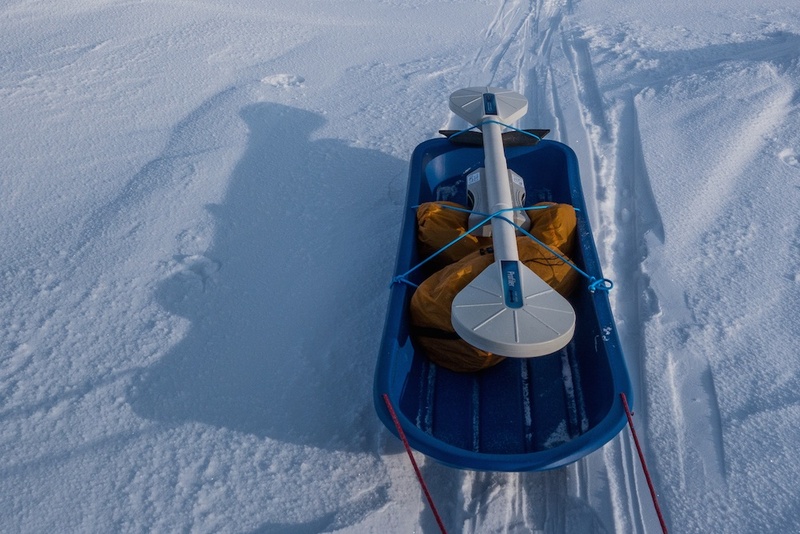 While this lightweight instrument is dragged over the snow in a plastic sled, it generates a pulsing magnetic field by sending an electric current through a coil. 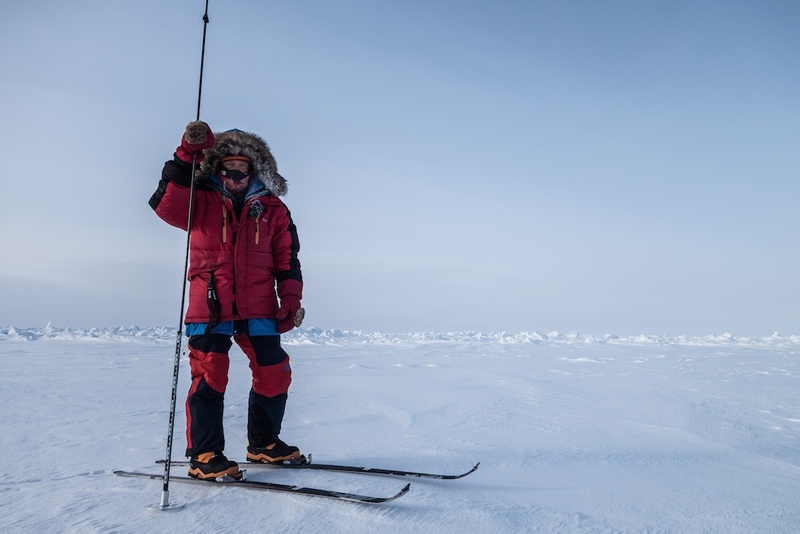 Since snow and ice layers are excellent insulators, this magnetic field passes through them undisturbed until it reaches the salty and conductive seawater below the ice. The magnetic field creates eddy currents in the water, which in turn generate a secondary magnetic field. The second, receiver- coil records the strength and phase of this returning magnetic field trough which sea ice thickness can be determined. This is a widely used method to measure sea ice thickness. Our GSSI EMP 400 has been tested and validated extensively in the Arctic and Antarctic and has proven to be accurate and easy to operate. Ideally drill hole measurements are performed as a validation at the start and end of the measured transect. Distance coverable: +/- 1 kilometer around campsite or more while traveling (up to 10 kilometers). Time required: +/- 1 to 2 hour(s) / day when working around camp. Direct measurements of ice thickness measurements are done with an ice auger. The auger is modular and consists of 1m long sections to be able to drill several meters through thick ice when needed. You can either drive it by hand or a drilling machine. Once it has penetrated the ice, a measure tape is lowered through the drill hole. At the end of the tape a foldable T-bar will lock itself to the bottom of the ice. The water level, ice thickness and snow level can be noted. When pulled with prudent force the T-bar folds in and can be retracted. The measurements are typically done around campsites every 10 meters, preferably over a distance of 100 meters. Time required: around 2 hours. When using drill hole measurements to validate EM profiler readings, a minimum of two drill holes are requited. Time investment: 20 – 30 minutes. Snow thickness is measured by pushing a snow probe firmly through the snow including harder layers until it reaches the ice surface. A mantle shaft with a disc is lowered until the disc touches the snow surface softly without compressing the snow layer. Pulling out the probe, while holding the shaft in it’s position the snow thickness can be noted. The snow thickness values are recorded using an audio recorder. This reduces the risk of frostbite from exposed hands while writing down measurements on paper. Measurements are usually spaced approximately 8 meters (10 steps) apart over distances of approximately 400 meters. Cold Facts has field tested a handheld Portavo (Knick, Germany) unit with sensors to measure salinity (conductivity) and pH as an instant indicator of seawater properties. The unit is lightweight, easy to use and field tested in the Arctic and Antarctic. Knowing the conductivity of seawater is important to make precise interpretations of the EM profiler signal. By lowering a conductivity sensor through a drill hole, the conductivity of the sea water just below the ice can be established quickly and precisely. 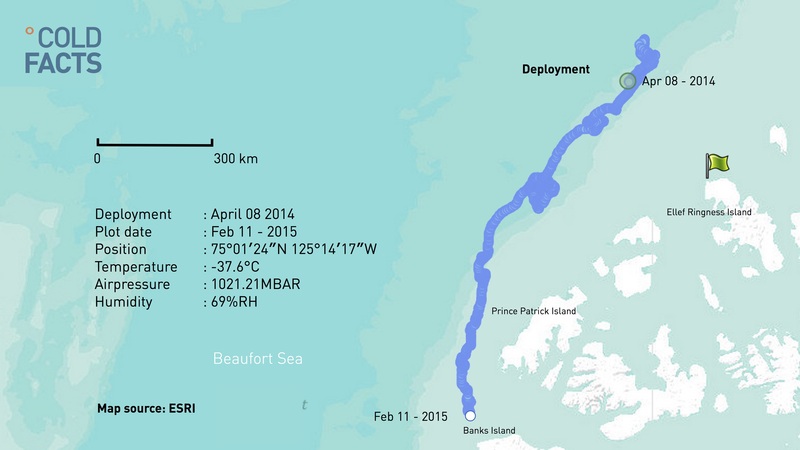 For this purpose, the unit has been tested in 2014 under extreme conditions on the Arctic Ocean. The unit has also been successfully used and tested by Elizabeth Jones around Rothera station, Antarctica. 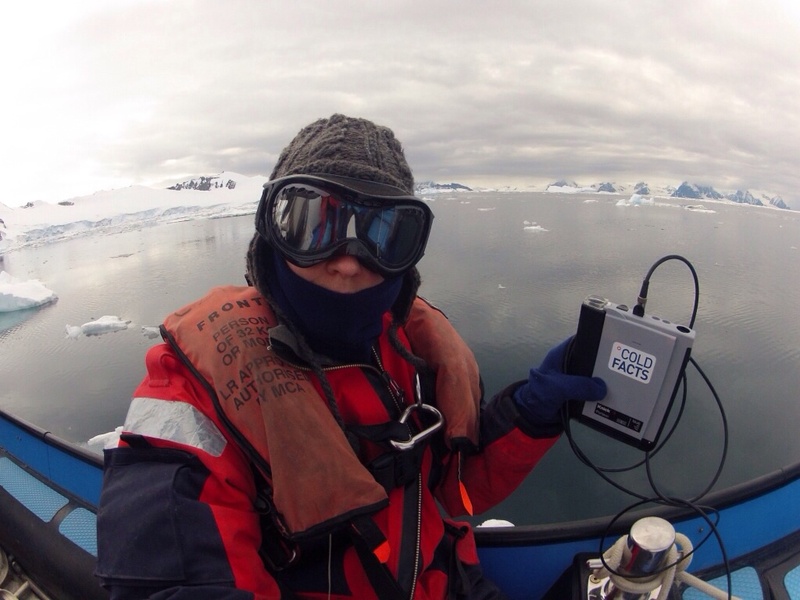 Seawater samples are taken at different locations across the bay, e.g., in front of the glaciers, over the deep central part of the bay, furthest offshore. Ice cores were drilled at the same location when sea ice covered the bay. 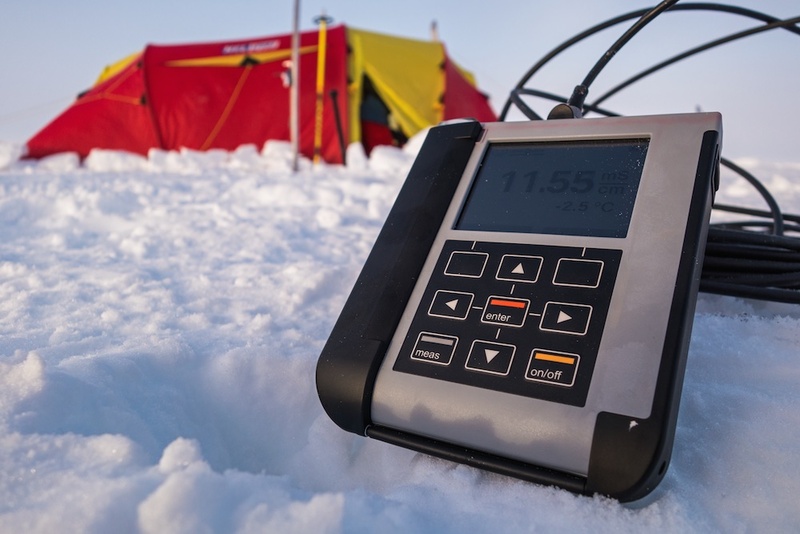 The handheld Portavo unit and sensors were used out in the field for measuring salinity (conductivity) and pH as an instant indicator of changes in the seawater, e.g., sea ice melt or deep mixing of water layers after storms. "Ice cores are cut into sections and allowed to melt in the lab. 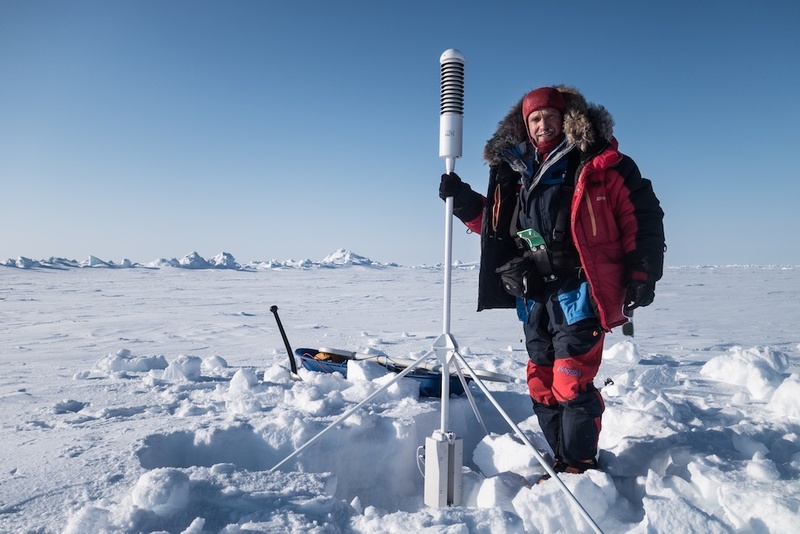 The Portavo unit and sensors are then being used in the lab to measure salinity and pH of the melted ice core sections, seawater and experiment samples to provide essential supplementary data." 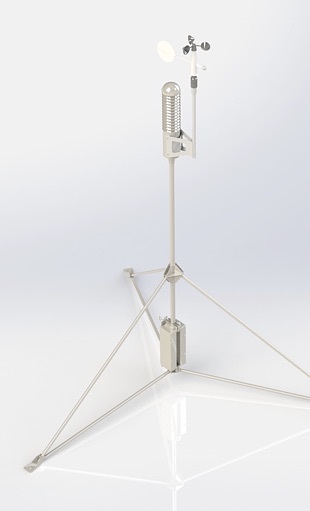 Cold Fact Buoy with equiped with additional wind speed and wind direction sensors. 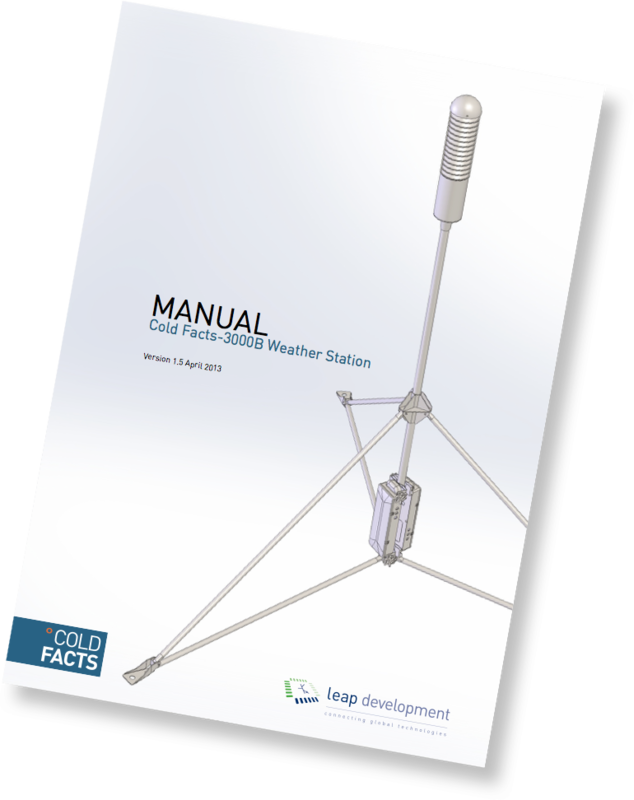 You can download the manuals for the Cold Facts buoy below.